Stunning Master Bathroom Remodel. The perfect retreat with soft relaxing colors throughout. Some of the details include, tile backsplash, modern chrome hardware, dual square sinks, marble countertops, updated lighting, glass shower enclosure, new tub and hardware, new flooring and crown molding. 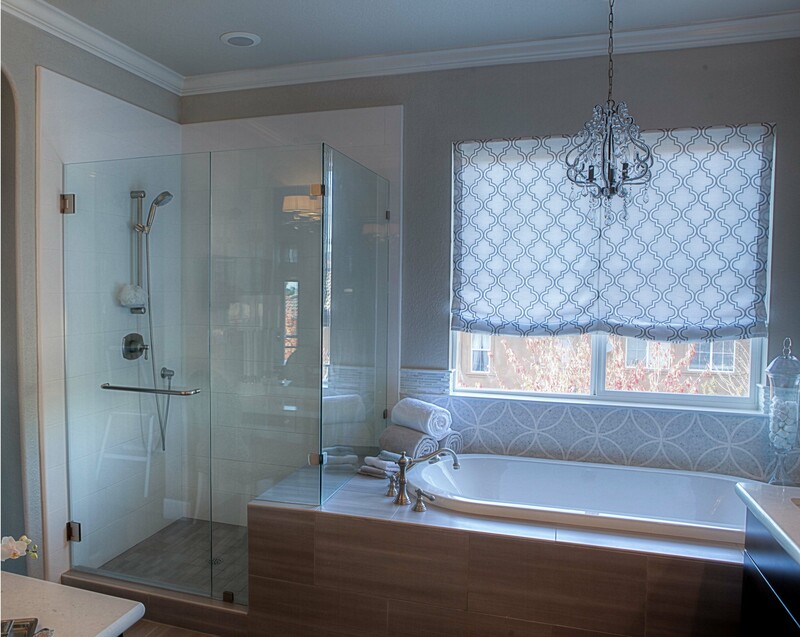 Cook’s Kitchen and Bath created a bathroom remodel design reflecting the customer’s needs and budget. They are a general contractor, specializing in residential remodeling focusing on exceptional customer service.